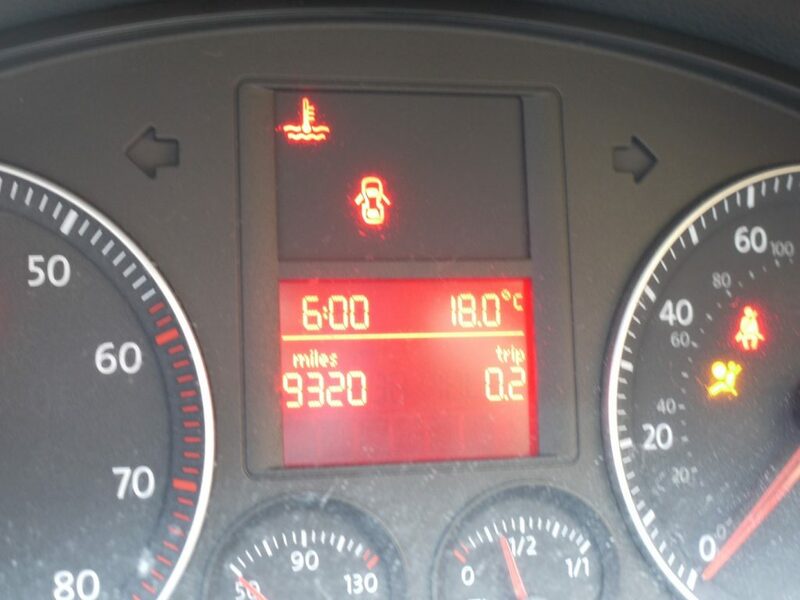 On models made before the introduction of precoded component security and the need to use service mode, mileage correction can be carried out on the clock unit via OBD. The procedure is straight forward and takes just a few minutes to complete. 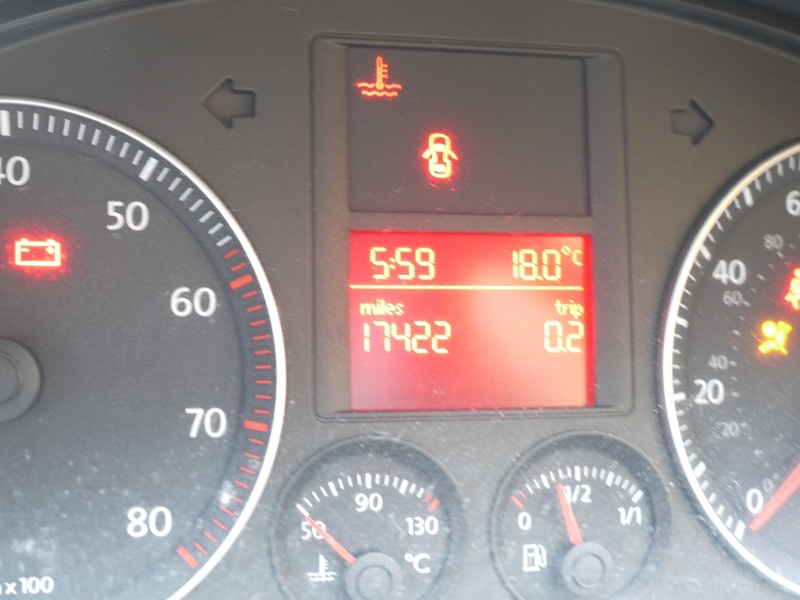 You need to be able to convert miles to kilometres and vice versa, as the clocks display the mileage in miles, but the software reads and writes it in kilometres. You can download plenty of apps for the PC or phone that will do this for you. 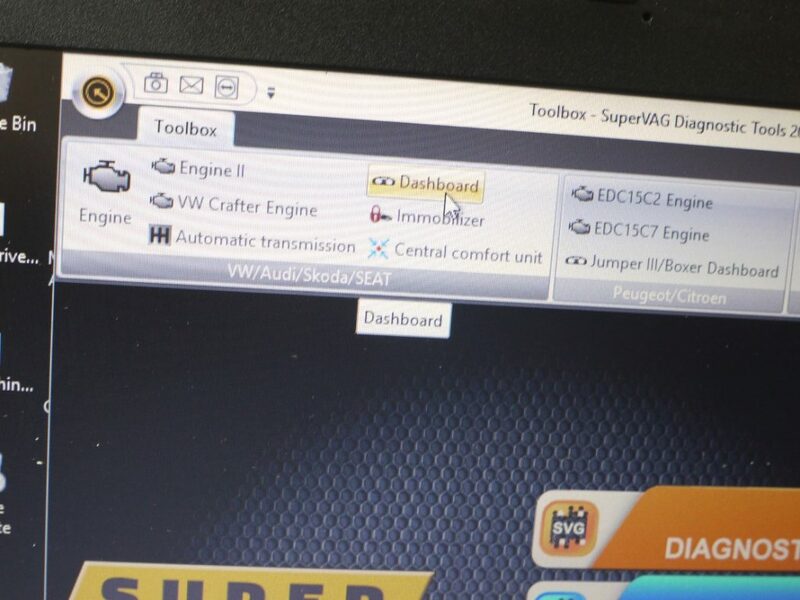 We must begin by connecting SuperVAG to our PC and to the cars OBD socket; the blue tool icon must be on the PC and must be activated. Once done and confirmed we are ready to begin. Switch the ignition on to position 2. Begin by double clicking and opening the blue ‘toolbox’ icon. This new screen will open, select and click on ‘dashboard’. Select and click mileage correction. This is the clockset before we start – you can see we have 17,422 miles showing on the clocks. A new box opens and asks you to enter the requested mileage.Remember you must add this in kilometres! We have entered 15,000 kilometres – click yes. You will be asked, when the software is ready, to switch ignition off then back on again – do so when instructed. he software changes the mileage in the clockset and confirms the new mileage entered to the clockset in kilometres. After clicking ok it returns to this screen, the procedure is complete and we can exit the software. This is the clockset after the procedure, now we have entered 15000km to the clocks, it now shows 9320 miles.